Breck's Mother's Day gifts are truly unique and inspired by nature. Make Mom's day extra special with fresh finds, living flowers and gourmet flavors. We curated this collection with moms in mind, and we'll deliver your thoughtful gifts right on time! Nature Inspired Gifts Any Mom Will Love! Get the best bulb gifts from the bulb experts! 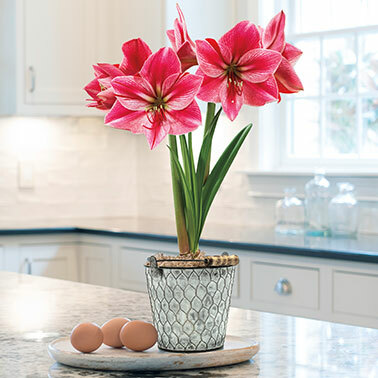 Amaryllis Lovers™ gifts can grow up to an inch a day--culminating in glorious blooms in 4 to 6 weeks. Bulb gardens arrive sprouting and ready to grow right before your eyes. 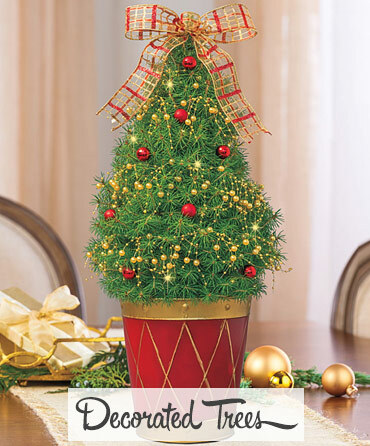 Or choose a gift that's already grown--each bonsai is nurtured four years before it leaves the greenhouse. 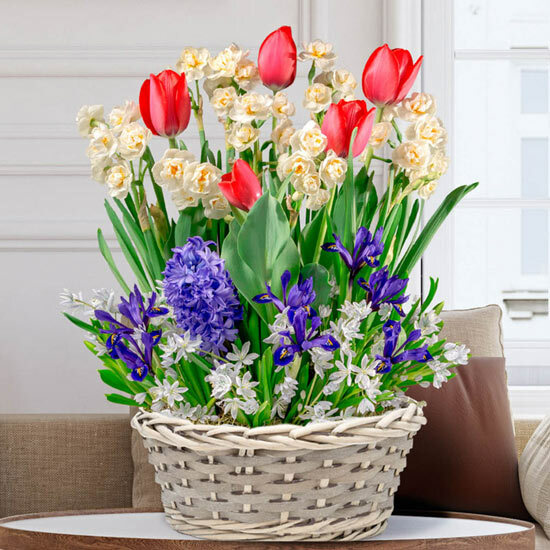 Send Mom something to enhance her already beautiful blooms. 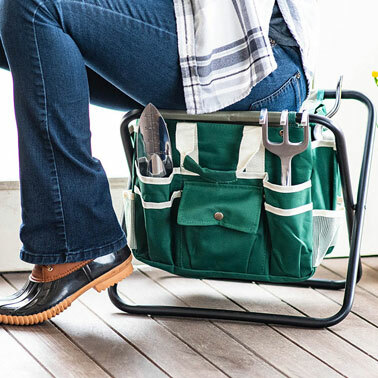 Our premium tools and accents make weekends in the garden even more enjoyable. 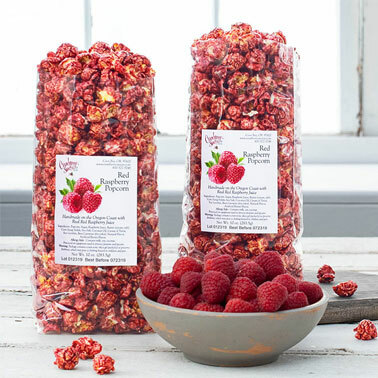 For moms with a second flock that depends on her, we've got everything her backyard birds need. 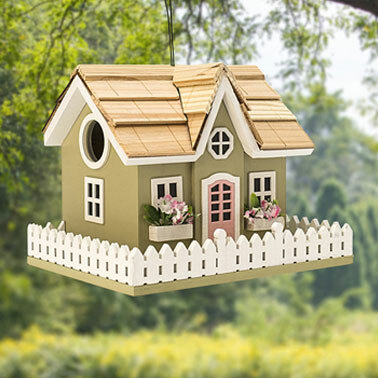 Shop posh yet practical cottages, fanciful feeders and more. Bring any room of the castle to life with unique pieces to please the whole family. 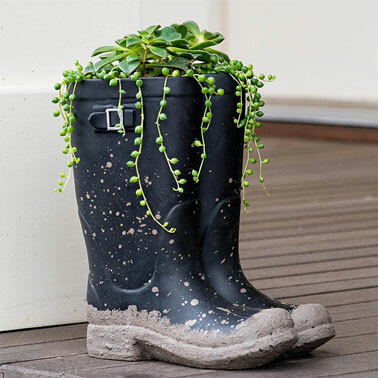 Many of these items would look right at home in Mom's garden as well. Brighten Mom's day with boutique treats from some of our favorite small-batch kitchens across the country. If you say please, maybe she'll share. E-Gift Certificates - The perfect last-minute gifts, with FREE DELIVERY! 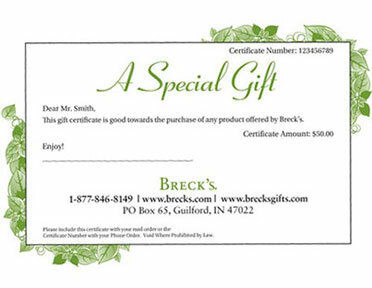 Delivered via email within the hour, E-Gift Certificates are the most efficient way to give the gift of choice. Add a personal message to your gift and leave the shopping to the expert-Mom! 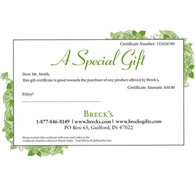 Traditional printed gift certificates are also available and will arrive in 5-7 business days, also with no shipping fees. Send one straight to Mom or send it to yourself to add to her card. Monthly Clubs--Send a Gift that Keeps on Giving! Subscription gift plants are a plant lover's perfect gift! 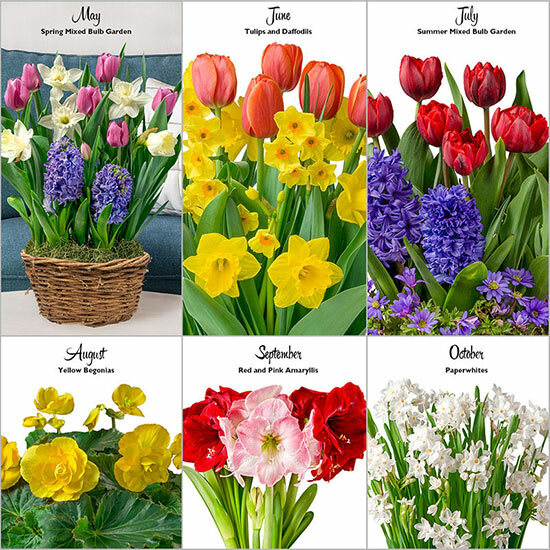 Our legendary Bulb Garden of the Month Club™ Our Mother's Day Bulb Garden of the Month Club™ offers three- and six-month subscriptions to surprise the plant lover in your life. 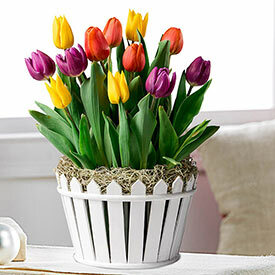 Every month, a new pot will arrive filled with premium Breck's bulbs already rooted and ready to grow. Each new garden fits perfectly in the decorative basket that comes the first month. Healthy, colorful blooms will follow in just a few weeks.